If someone else's vehicle blocks your car, just a click on the phone and traffic police will try to help you resolve the situation. The curse of a big crowded city: Park the car and get blocked in. Now, help is to hand. “Shanghaifabu,” the official WeChat account of the city government, can be used to help residents whose car has been blocked by another vehicle. 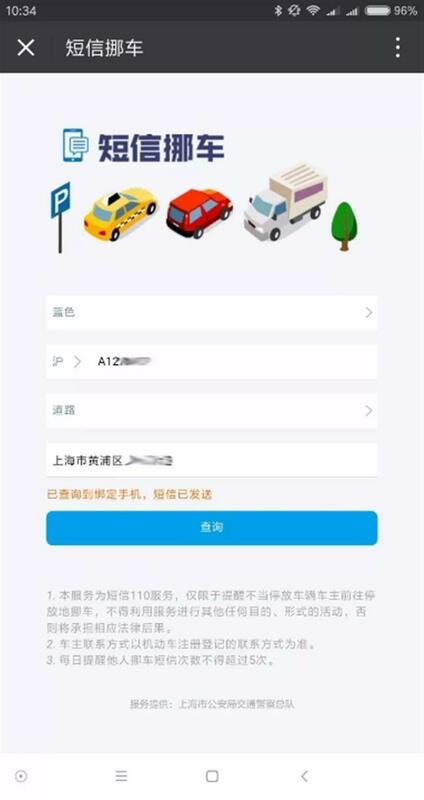 To use the new account, click on “Zhengwudating” and then “Jiaotongweifa,” and after logging in with your phone number and password, enter the registration plate of the offending vehicle. Traffic police will send an SMS message to the owners if they have left their phone number with the police, asking them to come to move the car. Registered users of “Shanghai Jiaojing,” the official app of Shanghai traffic police, can log in with the log-in data of the app, and those unregistered will have to register a new account. People can send up to five requests through “Shanghaifabu” every day. The feature is available only in Chinese.